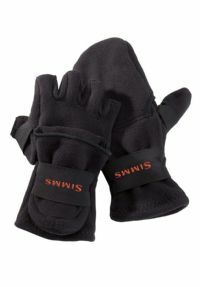 A convertible hideout for frozen hands, the Half-Finger build adds appreciated function to your on the water duties. 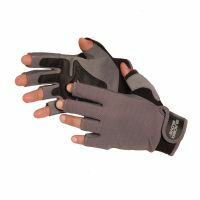 This fingerless fighting/stripping glove has been specifically designed to provide protection from the sun and from line cuts and abrasions. 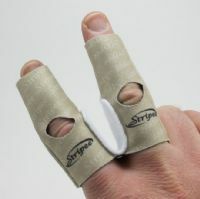 Full coverage hand protection at a fantastic price. 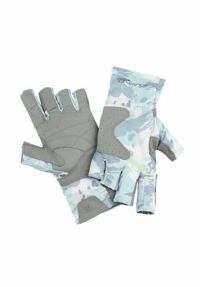 SPF 50 UV filtering hand protection. 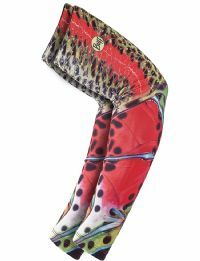 Light, thin, comfortable and fast drying. Non-slip even when wet. Better than sunscreen - with UPF 50+ sun protection, this is a great accessory to combat the sun while wearing short sleeve shirts. 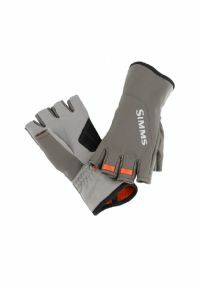 Keep your fishing hands ecstatic and elastic, with the full-time performance of Simms’ Exstream™ Half Finger gloves.